One of the major values that the Faith Promise Family Ministry holds to is “Create A Rhythm.” This is a huge deal for families! Whether you have kids or not, your life tends to naturally speed up, sometimes even daily, and we often find ourselves spiraling out of control of our time, decisions, priorities, etc. The idea to “create a rhythm” is partly a call to prioritize what’s most important in your daily life, but the essence stems much deeper than clearing up your schedule. After leaving Egyptian slavery, God spoke through Moses to the Israelite nation. He gave them the command to love Him with everything…essentially, put Him first. This was to be remembered by writing the words on the doorframes of their homes. Imagine the notes that you leave yourself today. “Take out the trash” “Pick up the kids” “Write the report” They are more likely to get done if you create a visual reminder. Same goes for our top priority, loving God with everything! In the early 1700’s colonial Americans created a new process to close the gaps in their homes. Instead of using picket-fence-like wood pieces to form a door, they began to panel the wood to create new designs. The most popular design made was one that still is widely used today…you probably have several in your home right now. 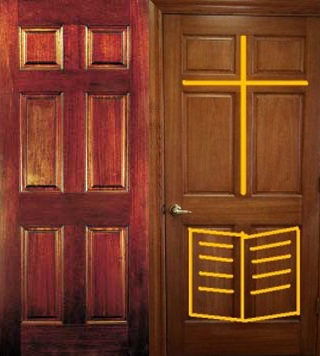 It’s called the “Cross & Bible” door. If you look closely to the panels, an image is revealed that shows a cross in between the top 4 panels. The bottom 2 panels represent an open Bible. This is commonly seen as a representation of the command from God in Deuteronomy. 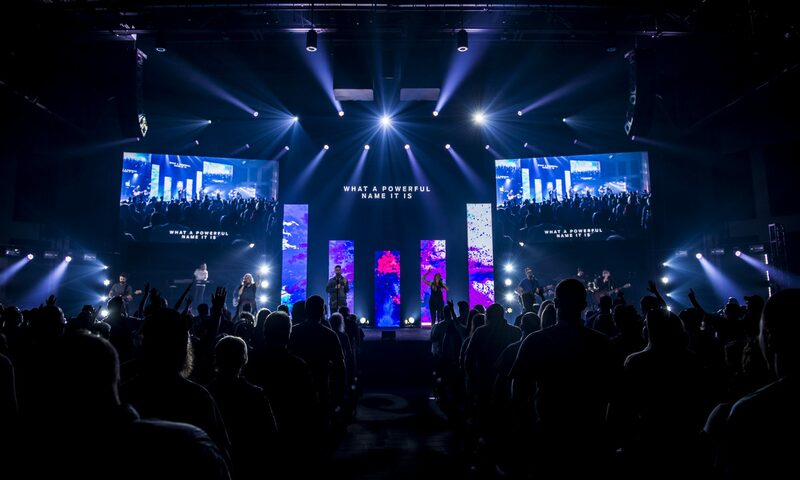 In a unique design, we have a specific reminder to put God first in our lives! How about you? Do you pass through the doors of your home without noticing or remembering the most important command from God? Are you so wrapped up in your schedule that you’ve missed out on the preeminent priority? Or are you keeping God’s command on your heart? Impressing it on your children? Modeling it with your decisions?